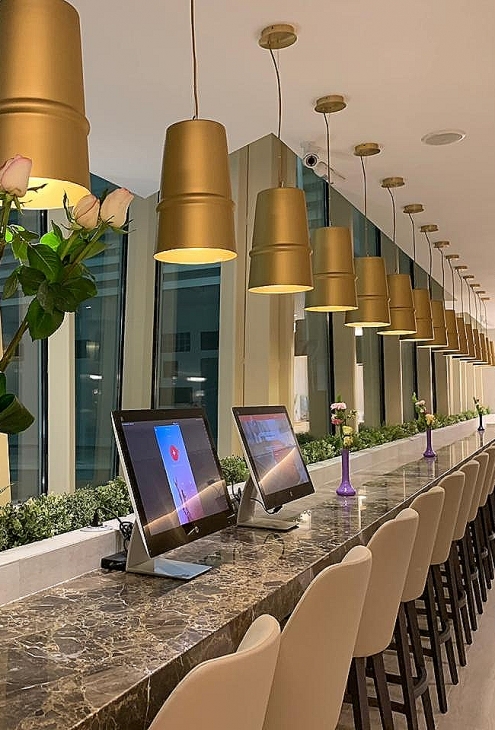 For this project, the company ROYAL AIR MAROC gave to the architects Christelle Louat and Stephane Ragusa from Brightvision, the total relooking of the offices and lounge VIP. Brightvision wanted to use lighting witch has something to do or was linked to Morocco, of course, we talk here about the Moroccan airline company. Belle d'i came as evidence. we did a special finishes in limited edition for Belle d'i to fit in this amazing project.